The following terms and conditions are applicable to all orders placed via our website. If you have any queries please contact us using the online form, where your enquiry will be logged until completed. Duotraq will respond within one business day. All products and prices including special offers are subject to change or discontinuation without notice. All prices shown on our web site indicate price without VAT and are in GBP £Pound Sterling for UK and EU purchases. UK VAT@20% is charged on all orders for delivery within the European Union, and is added at the order 'checkout' For Trade customers in the EU supplying us their VAT number, we will issue a Proforma invoice without VAT on request. Whilst we try to ensure prices and product information are accurate on our web site, if we discover any pricing errors before we process your order, you will be notified immediately with the option to re-submit your order at the correct price or cancel the order. The product pricing shown does not include shipping charges, which vary depending on the destination & method chosen. Shipping charges are indicated at the order completion stage. All products are subject to availability and can change prior to delivery without notice. Stocks are maintained by Duotraq and our manufacturing & distribution partners to ensure a prompt service. If an unforseen delay should occur, you will be notified by phone or email and given the option to either cancel your order or substitute an alternative. Any product availability information supplied on our website is an estimate only. If some of the items on your order are not available, we will contact you to authorise part-shipment. Where product devices have a non-standard tracking configuration for a special application, delivery times will be longer depending on the complexity of the setup. In each case we will provide a delivery estimate specific to each project. Purchases can be made using Credit or Debit Cards via the ‘checkout’ tab on the website. All payments made via our website use a secure server to protect the cardholder, and no personal financial details are held by us after the transaction is completed. Payments are effected using the ‘Worldpay’ payment platform to ensure your security & protect you against fraud. Duotraq is assessed annually for PCI compliance by 'Trustwave'. Duotraq is 'PCI compliant', and our certificate details with Trustwave can be viewed on the payment page. All credit card orders are subject to validation and checks with the card-issuing bank. Duotraq will not be liable if your order is delayed due to these checks. Orders can only be accepted from the cardholders themselves. The goods can only be shipped to the billing address of the cardholder unless we are informed or authorised otherwise by the card-issuing bank. Payment can also be made against a Pro-forma invoice directly into our UK Bank in GBP pounds sterling, details supplied on request. Note that payments for subscriptions, whether GPRS or satellite, are generally required in advance to activate the service & are not refundable unless we are able to claim reciprocally from the service provider. If you are eligible for a refund because of non-delivery or any other reason, it will be credited to the card you originally used to make the purchase. Note that although the refund transaction will be actioned when the amount is verified by Duotraq, normally within two days, refunds can take up to 30 days depending on your card issuer. If the original card is no longer valid, please notify us immediately. On clearance of payment we arrange despatch of items from stock the same business day wherever possible, and deliver UK nationwide orders within 3-5 working days unless specified otherwise on the product information page. Overseas orders take approximately 5-7 working days depending on the territory & transport courier. All orders are dispatched when the order has been processed and payment is complete, but any delays in these processes may extend delivery times. Products are carefully inspected, packed and dispatched from our UK distribution centres unless otherwise indicated. Duotraq warrants that upon delivery and for a period of 12 months from the date of delivery the products will be free from defects in materials and workmanship and be of satisfactory quality according to the stated product specification. Duotraq shall not be liable for a breach of the warranty unless you provide written notice of the defect to us within 5 days of receipt. If the defect is as a result of damage in transit, you must notify the carrier as soon as you notice the defect. We must be given a reasonable opportunity after receiving a warranty claim to examine such products, assuming you return the defective product within 7 working days to us at your cost for the examination to take place. 3. Prior to the shipment of the defective product you obtain written authorisation for the shipment from us. • You alter or repair such products without the written consent of Duotraq. Subject to the above conditions, if any of the Products do not conform with any of the warranties Duotraq shall at its option repair or replace such Products (or the defective part) or refund the price of such Products at the pro rata rate provided that, if Duotraq so requests, you shall, at your own expense, return the Products or the part of such Products which is defective to Duotraq. Any product returned will belong to Duotraq Ltd and any repaired or replacement product will be guaranteed on these terms for the unexpired portion of the 12 month period. You have a right to cancel your order within 7 working days if you change your mind, as required by the UK 'distance selling' regulations. However, you will be liable for the cost of returning the product back to us. All goods must be returned unused, complete and in the original packaging and condition they were supplied in together with any accessories provided with the product (all parts, cables, etc must be sealed). All goods must be returned with the original proof of purchase or the order reference. All warranties, conditions and other terms implied by statute or common law (save for the conditions implied by section 12 of the Sale of Products Act 1979) are, to the fullest extent permitted by law, excluded from the Contract. Duotraq Ltd total liability in contract, tort (including negligence or breach of statutory duty), misrepresentation, restitution or otherwise, arising in connection with the performance or contemplated performance of this Contract shall be limited to the contract price for the products. 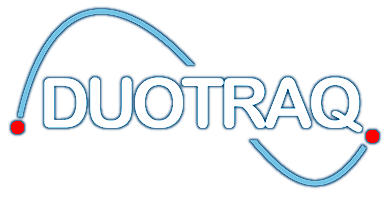 Duotraq shall not be liable to the customer for any indirect or consequential loss or damage (whether for loss of profit, loss of business, depletion of goodwill or otherwise), costs, expenses or other claims for consequential compensation whatsoever which arise out of or in connection with the supply of product. Duotraq acknowledges that the availability of Airtime Services, either cellular or satellite, and in particular the ability of any particular product to send and receive messages is constrained by various factors including geographical position, environmental conditions, satellite or cellular coverage, network availability or operator error. Consequently, Duotraq excludes all liability of any kind for any losses of whatsoever nature suffered as a consequence of a product being unable to send or receive messages due to environmental or operating conditions beyond our reasonable control. Customers purchasing a 'subscription' are able to view the current status of their tracking device via a user login on the Duotraq site. The tracking server can be accessed from any internet-connected device, including desktop & tablet computers. An additional mobile site provides a summary of last tracking events for phone handsets. All device data is maintained on a secure server to protect customer details & ensure reliability of the service. Track history records are available online for three months, then automatically archived off-line for retrieval on request. Where SIM cards are fitted for GPRS transmission, a fixed data allowance is provided to enable roaming in over 400 global cellular networks. The cards are not for use in any other data terminal, and if it is Duotraq will endeavour to rectify any problems directly with customers when installing or commissioning products to resolve network, transmission or other technical issues. If it is evident that the SIM card is being used for other purposes & exceeding the fixed data limit, they will be remotely terminated. This includes GPRS data, SMS messaging & software updates, based on a 12-month period. At the end of each subscription, they can either be renewed, or suspended for up to 6 months, during which time your account & track history will be stored. A renewed subscription re-activates the existing account with the same login credentials. Your email address or other personal details will never be passed to third parties. Any details held by us related to customer online tracking accounts are used only for the purpose of account registration & maintainance. Note: These terms and conditions do not affect your legal rights and we reserve the right to change these terms and conditions at any time without prior notice.